The dangers of high fructose corn syrup (HFCS) are a real threat. It can cause heart disease, diabetes, high blood pressure, and so much more. When I began my health journey, I was incredibly shocked at how harmful this substance was. It’s more astonishing when you find out how many foods and beverages contain HFCS. I was a bit mad. No longer could I indulge in the foods I once loved. However, my commitment to myself and my family is more important than my pallet’s preferences. I formed a habit of actively checking the ingredients of the products I purchase. We went on a mission to clear out our cabinets of anything without nutritional value. (A lot of foods left our home that day.) Here are some foods we were challenged to let go of and alternatives we’ve found to satisfy our cravings. Personally, I always get barbecue with my chicken nuggets. You can imagine how crushed I was to find out one of my favorite things had HFCS. I love barbeque sauce! This discovery was aggravating. During the next shopping trip, we hunted for a good quality BBQ sauce. We were completely flabbergasted. Almost all of the products on the shelf contained this poison. One store we visited didn’t have any without HFCS. Usually, it’s one of the first ingredients on the list. This indicates the product is mostly made up of it. But take heart! We finally came across BBQ that were free of it and awesome to eat. We were thrilled to find these product because we did not want to have to make our own. These are trustworthy brands who have stood the test of time. Not all their products are free from HFCS, but at least we found one! Unfortunately, the best tasting brand contains high fructose corn syrup! (Sweet Baby Ray’s) Ahh well. 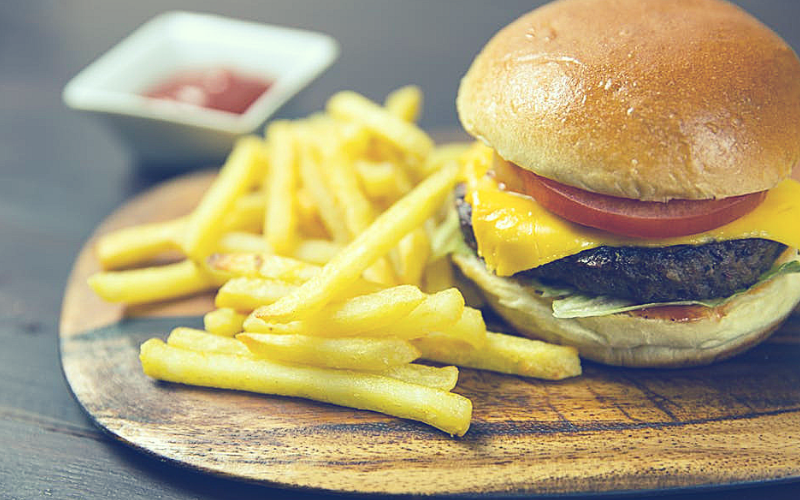 Be aware that most restaurants are supplied with ketchup that contain HFCS. I’m currently working on a solution to this issue. At least for now we can be sure our home is free of it. I covered this in another blog called Reasons Why You Should Quit Drinking Soda Today. However, so many people indulge in this drink that I’ve decided to mention it again. Soda is extremely detrimental to your health. I actually don’t know a healthier option as far as soda. I’ve heard people recommend taking juice and adding seltzer water, but I can’t be sure how great the taste would be. I consumed soda for 20 years before quitting. It was a heavy addiction and was difficult to overcome. Don’t allow yourself to feel negatively while caught in an addiction. With determination and perseverance, nothing will be too hard for you. My mom ingrained into my head that brown bread was nasty. When I first tried it, I wasn’t too fond of it. But now, it tastes like normal bread. We always buy 100% whole wheat and will never go back to white bread. You can find multiple flavors for these drinks. These include fruit frenzy, orange shock , citrus rush, strawberry kiwi, and many more. I love this because you can pack these with you when you step out. Such a better option that Koolaid Jammers or Hi-C pouches. I found this out by accident. Someone had given us some as a gift and when I checked the label, there was no HFCS. It’s not the greatest thing to consume. However, it is mostly water and you can be sure that it’s high fructose corn syrup free! I’m sure there’s plenty out there you can try. These are the ones I’m aware of so far that aren’t so harmful. When I use these, I usually use a big mason jar. I’ll put one packet of powder per around 30 fl oz. Another reason why I enjoy using these is because my son can pick which color he wants. It’s more on the cheap side and you can fill your fridge with it. It’s a win-win! Purchasing a workout beverage fills us with satisfaction because we know we made a healthy decision. Unfortunately, that’s not always the case. Powerade lists HFCS as one of the first ingredients on the list. We were consumers of their products big time! We decided to reach out to Coca-Cola to tell them how disappointed we were and pleaded with them to remove it from their products. It’s was a no-go. They responded and told us the zero calorie drinks were our only other option (which don’t come in many flavors). My husband switched to Gatorade. It comes in so many flavors such as Raspberry Lemonade, Blue Cherry, Fierce Grape, Strawberry Watermelon, and a ton more. As a cheaper option, you can purchase the powder that comes canned The flavors currently available for purchase in powdered form is Glacier Freeze, Lemon-Lime, and Orange. Amazingly, it’s so cost effective and last quite a while! You should definitely consider making a switch. Thanks, Gatorade. We’ll Take It From Here. Speaking of switches, there’s an even better choice out there when it comes to superior hydration. It’s filled with vitamins, tastes great, satisfies your craving, and offers a drink with only 20 calories per serving. Are you ready? It’s called BodyArmor. In my opinion, there is none better. I drink BodyArmor every single day. My child LOVES it and so do I. This is a company who loves their consumers and expresses it with their ingredients. I’m head over heels and #ObsessedWithBetter. I have not came across anyone who did not like it. My co-worker finally took my word and tried it. That bottle was almost gone in one gulp. He thought I was joking about its greatness. Nope! It’s truly like no other. They are #Winning. There’s a wide range of flavors available to us including Grape, Tropical Punch, Mixed Berry, Fruit Punch, and much more. My husband’s favorite is Blackout Berry.The LYTE versions only have 3 grams of sugar and 20 calories per servings. My personal favorite of them all is Peach Mango. Check back in the future as this list may grow as my adventure in eating healthier options grow. In the meantime, continue to check your labels before spending your hard earned cash on products that do more damage than good.